Huawei launched a couple of devices during MWC 2018 but there are still some leaks about their flagship smartphones; the Huawei P20 and P20 Pro. These smartphones were already in the rumor mill but some pictures have been surfaced recently. 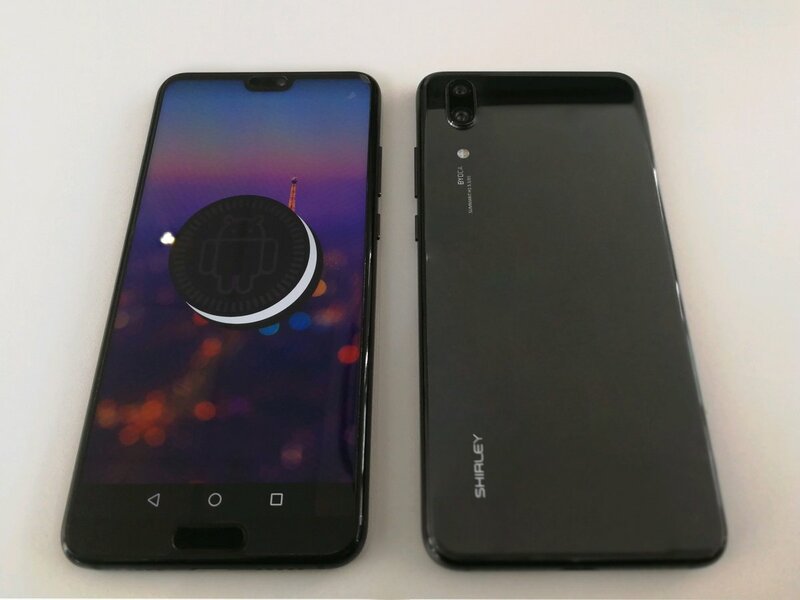 The live images have been leaked by popular leakster, Evan Blass, he put the picture of the Huawei P20 on Twitter. The picture shows the Huawei P20 with a notch at the topside of the display, even with the notch, there is a big chin at the bottom with a squarish fingerprint sensor which is throwing out all the class of a notch display design. The pictures show the smartphone from the back as well, which shows the dual camera setup with LED flash and some branding which is definitely not LEICA. The rear of the smartphone has a glossy finish and we can see “SHIRLEY” written on it. The smartphone also shows the Android Oreo ester egg on the display with the soft navigation buttons. This means the smartphone will be running the Android 8.1 Oreo at the time of the launch. The Huawei P20 recently have been reached the certification and some information have been leaked that the smartphone will come with dual rear LEICA cameras. The notch on that leak also matches the notch in this image from Evan Blass. The rumors also suggest that the smartphone will be powered by a Kirin 970 SoC but all other specification is still not known. The announcement of these smartphones is scheduled to take place in Paris on March 27th. We will keep you updated with all the news about these smartphones.